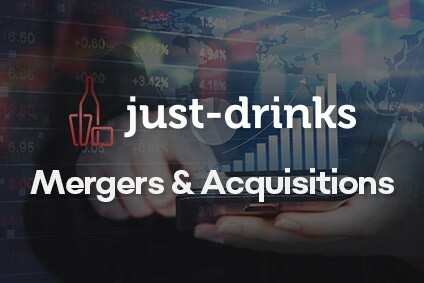 Here, just-drinks consolidates the M&A activity in the global drinks industry during March, a month that saw the rumour mill suggest divestments by the likes of Pernod Ricard, Constellation Brands and the UK's Greene King. Carlsberg has acquired a minority stake in a Beijing craft brewer. Jing-A announced on its website at the start of last month that the Danish brewer has become a minority partner. The post said Jing-A will "retain full control" but will receive support with "state-of-the art brewing/lab facilities and a solid distribution network". Kirin's Australasian unit, Lion, has purchased another UK craft brewery. Yorkshire-based Magic Rock Brewing Co said the business has been sold to Lion. MD Richard Burhouse said the deal would allow Magic Rock to expand capacity and grow distribution. Greene King could be the next UK pub estate to offload its brewery operations, with Heineken or Anheuser-Busch InBev a potential buyer, an analyst has forecast. In January, Japan's Asahi purchased the beer business of London brewer and pub chain Fuller's. In a note to clients, Bernstein analyst Trevor Stirling has predicted further consolidation ahead if Greene King also looks to exit brewing. Following on from just-drinks' analysis this month of Carlsberg's performance over the last five years, beer commentator Stephen Beaumont considers the takeaways for the wider brewing industry. Canadian cannabis company Growpacker has acquired a stake in Ceria Beverages, the cannabis brewer started by Blue Moon creator Keith Villa. As part of the equity-purchase, Ceria will join Growpacker's new incubator programme to fast-track THC and CBD brands in California. Coca-Cola Amatil has said it is not pursuing the purchase of Kirin's Australia-based food and beverage unit. In a stock exchange filing, CCA moved to silence speculation that it is investigating the acquisition of Lion Drinks & Dairy. In September, Kirin launched a strategic review of the unit, with confirmation that it had started the sale process coming a month later. Kirin's Australasian unit, Lion, has purchased a New Zealand-based iced tea brand as the company looks to boost its non-alcoholic portfolio in the region. Lion announced the acquisition towards the end of last month of Teza Iced Teas from Greenstone Drinks Co.
Norway-based food and drinks group Orkla has agreed to purchase a sizeable share in a Portuguese kombucha maker. The company will take a 43.5% stake in Asteriscos e Reticências. The company produces the Captain Kombucha brand, which it said is sold "all over Europe". In this month's consideration of the soft drinks category, category commentator Richard Corbett turns his attention to the iced coffee segment and sees opportunities for growth everywhere he looks. 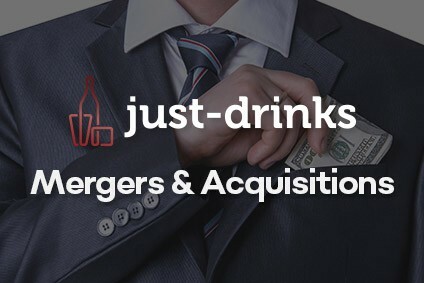 Ongoing financial manoeuvres at Marie Brizard Wine & Spirits will include the divestment of two drinks brands - Porto Pitters and Tiscaz Tequila. The France-based group has spent the past 12 months dealing with a worrying balance sheet, prompting moves last month to secure a bridge loan. In early-March, the company confirmed it received clearance from authorities in France for a "business combination" with Compagnie Financière de Prises de Participations (COFEPP), which holds a near-30% stake in the company. UK-based drinks company Halewood Wines & Spirits has opened a unit in Australia, at the same time making an investment in a distillery in the country. The company's new business, Halewood Australia, will import and market its UK-produced brands including the Whitley Neill, Dead Man's Fingers, Aber Falls, JJ Whitley and Peaky Blinder spirits ranges. Halewood also said it has taken a majority stake in the Ironbark Distillery in New South Wales. Last month, we took a look at the growing interest among consumers for experiences. A recent report in the UK from Red Brick Road and Opinium, provided further interesting new insights into this trend. The purpose of the report, entitled 'The Last Round? How to engage the next generation of Mindful Drinkers', was to locate sales opportunities in the on-premise channel for drinks brand owners, against a background of abstinence: Don't forget that, according to studies, around a quarter of Generation Z consumers - aged between 18 and 30 - are teetotal. California-based Vintage Wine Estates has acquired wine-in-a-can producer Alloy Wine Works. The group, which claims to be the 14th-largest wine company in the US, has assumed ownership of "one of the first innovators of fine varietal, appellated wines available in aluminium cans". 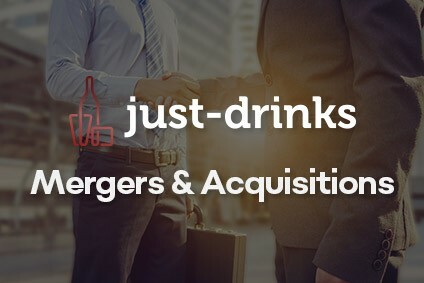 Distinguished Vineyards & Wine Partners has added to its production footprint in the US with two acquisitions in California, one from its parent company, Kirin Holdings. The Napa Valley-based company confirmed late yesterday it has taken ownership of Markham Vineyards, also based in the California wine region. 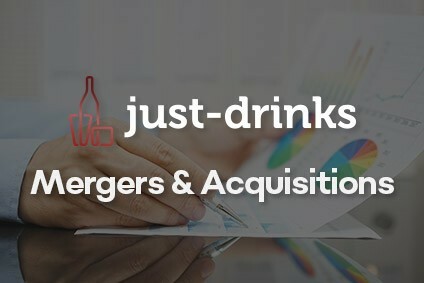 Constellation Brands is rumoured to have found a buyer for the lower-end of its wine stable, with E&J Gallo Winery thought to have entered the fray. An article from CNBC claimed the pair are in "advanced talks" about a deal, which could come in well below Constellation's US$3bn price expectations. Citing people familiar with the situation, CNBC reported the talks, which include negotiations on which brands will go, could result in a sale of "$2bn or less". Pernod Ricard has been linked to the divestment of its full wine portfolio, although just-drinks understand a transaction is unlikely. Citing sources "familiar with the matter", Bloomberg claimed that the group "has held early discussions" about selling its wine brands, including Brancott Estate, Campo Viejo and Jacob's Creek. We're all used to the rumour mill churning out the well-worn trope, and this week was no exception: Pernod Ricard is mulling an offload of its wine business, the headlines screamed - again. I'm less interested here in the pros and cons for Pernod of having wine brands alongside spirits: Lord knows, we've discussed this enough.